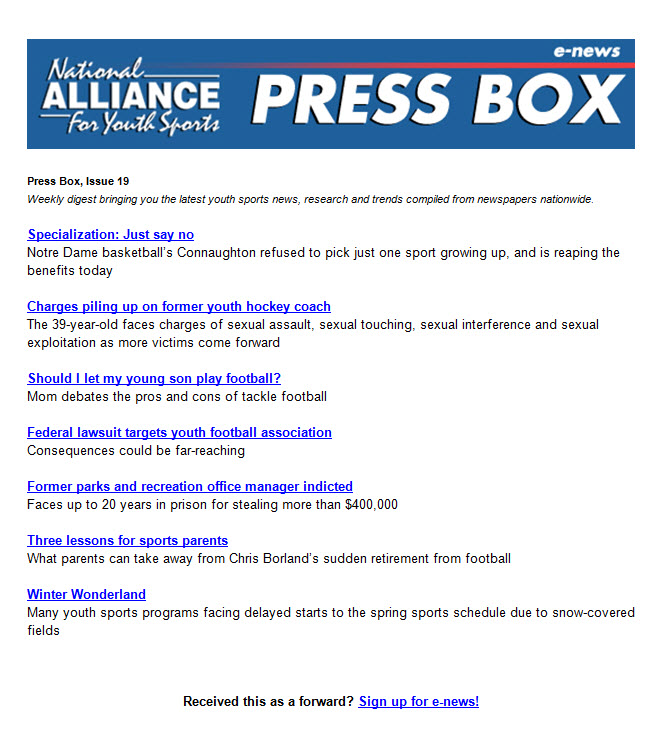 Stay up to date with the programs and initiatives of the National Alliance for Youth Sports by subscribing to our updates by email. Sign up today to receive our monthly newsletters. At any point, you can select the link at the bottom of any email to unsubscribe.